We all had a favorite place to hangout growing up, but whatever that place was, it was super lame compared to these fine establishments. Here are eight animated restaurants you probably wish you could patronize. Make mine with extra sardines. 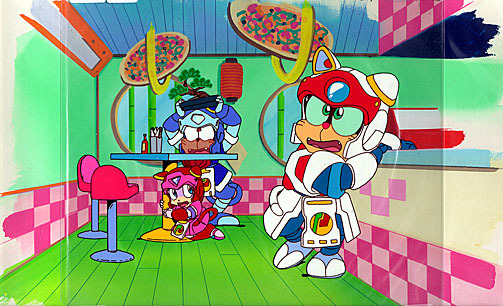 Talk about your multi-taskers—the Samurai Pizza Cats not only protect the city of Little Tokyo against crime, they also run a pizza parlour. Most pizza joints can’t even manage to make a proper salad, so I’m rather impressed with these kitties. Their pizza place is also their crime-fighting headquarters and the four employees (Speedy, Polly, Guido, and Francine) all live at the restaurant as well. I’m not sure that’s up to health code. Home of the Flaming Moe! 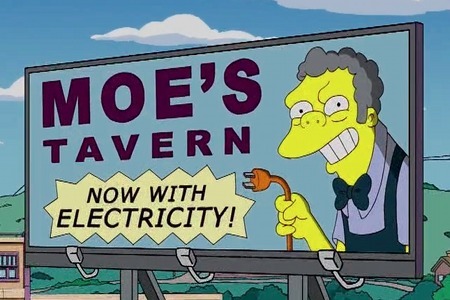 A staple of many Simpsons episodes is their local watering hole—Moe’s Tavern. Bar owner Moe Szyslak serves up Duff Beer, and on one occasion the infamous Flaming Moe. Overall, a depressing bar with only a small handful of characters in it at anytime. Moe did attempt to snazzy the place up a few times, most notably turning the bar into a family-friendly restaurant called Uncle Moe’s Family Feed Bag—not the best choice when you can’t stand the laughter of children. Sweet, sweet rib-shaped meat byproducts! Krusty Burger is Springfield’s answer to McDonalds and similar restaurants and is owned by TV personality Krusty the Clown. Krusty Burger is a chain restaurant and is located across the States and even in France (where it’s known as Le Krusty Burger). 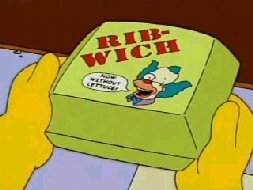 Hands-down, Krusty Burger is Homer’s favorite restaurant, especially when the Ribwich Tour hits Springfield. Rocko’s Modern Life is notorious for getting crap past the radar, and this is one of their most amusing gags. 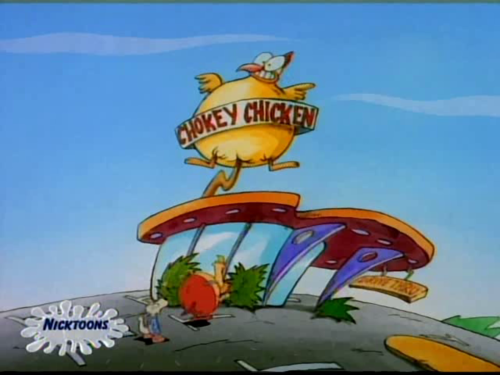 Chokey Chicken is supposed to be a parody of Kentucky Fried Chicken, but the humor lies in the restaurant’s name—a blatant reference to masturbation. It wasn’t until season four that it was changed to Chewy Chicken. Not sure if hungry or repulsed. Krusty Krab, not to be confused with the land restaurant Krusty Burger, is located in the city of Bikini Bottom, and is managed by Mr. Eugene H. Krabs. Here, SpongeBob and Squidward serve up Krabby Patties, Kelp Fries, Krusty Dogs, and more, despite their difficulties in getting along. At least it’s better than the competition—The Chum Bucket. Another famous fast food joint, Weenie Burger also resembles the popular McDonald’s-style eateries and serves up hamburgers, hot dogs, and the rest of the typical fast food fare. Babs and Buster even work at Weenie Burger for a short time, until a run-in with Monty gets them both fired. Looks like I’m just getting the salad bar. Honker Burger is essentially a parody of In-N-Out Burger with an equally complicated ordering system. Doug and Skeeter are able to forge a friendship out of a botched ordering attempt at least, and hang out at the hipster establishment regularly. Pizza fit for a king… but probably not. In just about every episode, Daria and Jane hang out at a pizza joint. 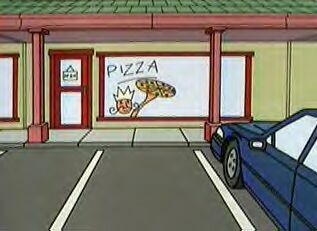 While it has many names, I will choose Pizza King (instead of Pizza Prince or The Pizza Place) because my city has a Pizza King. Unlike the Pizza King in my city, this one gets frequent business and serves quality food. And their cars probably don’t break down. 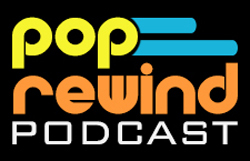 Did we miss your favorite animated dining establishment? Leave us a comment! Burger World on Beavis & Butthead!! I always loved the name Weenie Burger. Because I like weenies, and I like burgers.